Pilgrimages to holy wells were common in medieval Christendom, and especially among Celtic peoples with their profound awareness of the God's presence in creation. In the wider Christian tradition water is a symbol of life, grace and healing - a gift of God, springing forth from the earth. Many parish churches were built close to wells which were used for baptism and for healing services. Today, interest in holy wells is resurgent. Regional guides, gazetteers and websites connected with holy wells are increasingly popular and thousands of pilgrims and walkers visit holy wells each year. This resource has been written in response to a demand for prayers and blessings to use at a holy well. 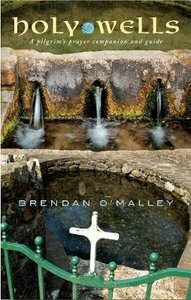 It includes an introduction to the history and significance of holy wells, a wide variety of prayers and simple liturgies for individual pilgrims, groups and churches that are based near holy wells. It also includes a guide - with GPS references - to the principal holy wells in England, Wales and Scotland. About "Holy Wells: A Pilgrim's Prayer Companion and Guide"